I'm 'very' pro-Israel, Sandler tells Howard Stern, before thanking the radio personality for his rants against Roger Waters. Weeks after radio personality Howard Stern went on a highly publicized rant against notorious BDS supporter Roger Waters, he hosted funny man Adam Sandler on his radio program. During their conversation on Tuesday's Howard Stern Show, Sandler expressed his own revulsion for the British musician and the boycott Israel movement. “I’m disgusted they single out Israel,” the filmmaker said, lashing out at the Pink Floyd frontman who frequently pressures artists to cancel performances planned for the Jewish state. 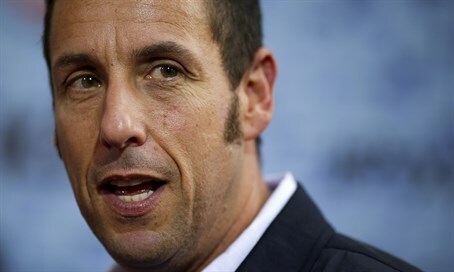 “I’m proud of being a Jew,” Sandler said, when Stern probed him about his Jewish heritage. “I get that from my father and mother." “I’m very pro-Israel and when someone says expletive about Israel, and I know people say expletive about Israel and they...won’t play there…and when you go off on Roger Waters I love that you do that." Sandler admitted he was not very religious, but added "I’m very, like I said, where I grew up where being proud of being a Jew and that’s what I am."